Maximum performance die cutting with the synthetic ejection system of PolyMX! Rovyna s.r.o. works closely with PolyMX, developer of the long-lasting an unrivaled qualitative ejection system Polytop MX®. The company developed a unique colour-system to distinguish between different hardnesses and introduced extreme durable ejection material of polyurethane. This revolutionary material is specially designed for the die-cutting industry and has become the standard for the new generation ejection material. 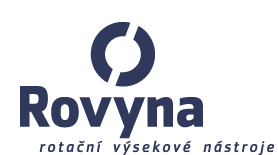 Thanks to the use of Polytop MX at our dies, Rovyna offers you the chance to create faster production speed with lower pressure, less maintenance and even better end products. Long-lasting ejection material for rotary dies.